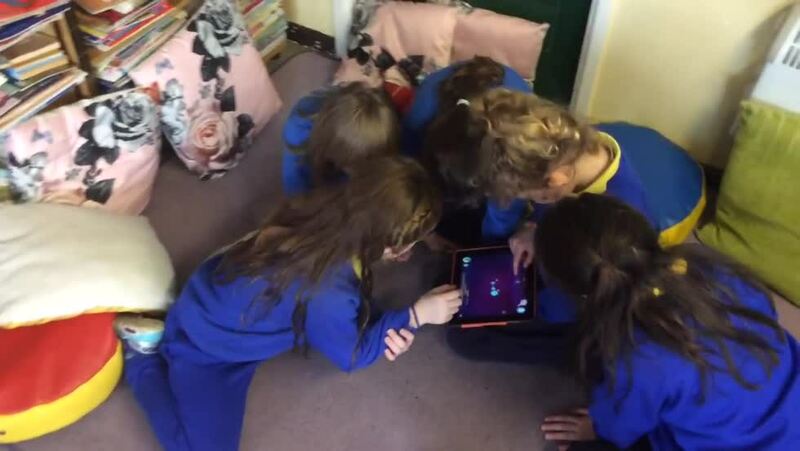 Pupils built on their prior learning about forces and gravity to think about other forces: push and pull. When they had completed this, they presented their posters to the rest of the class and explained the thinking behind their decisions. They compared their posters to those of the other groups and some reviewed their choices after discussion. Meanwhile, small groups got acquainted with our Microbot: Dash. 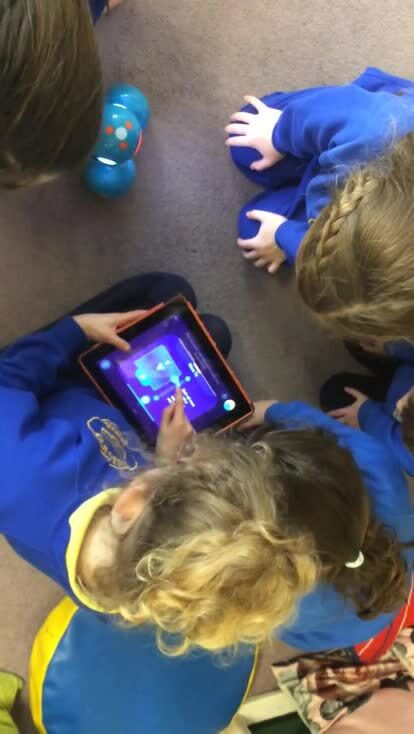 They are learning the initial steps in coding through 'plugged' and 'unplugged' activities. 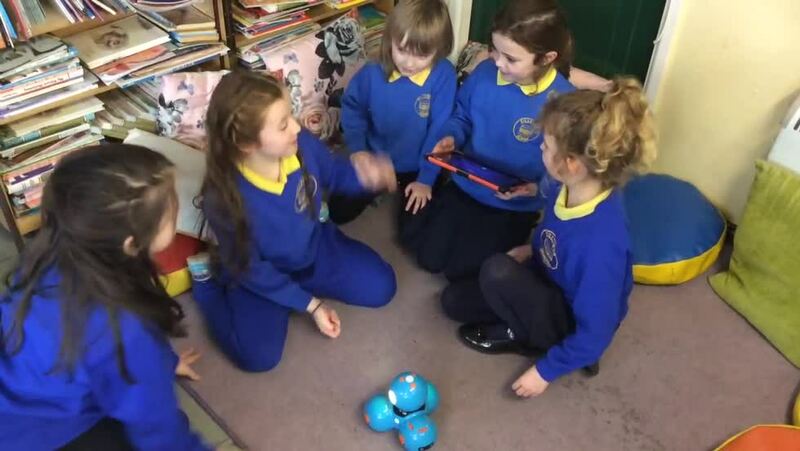 By using the 'tinkering' approach to coding, pupils are learning what Dash is capable of when they give him the right instructions. Many thanks again to the PSG whose fundraising 2 years ago helped purchase these micro bots.